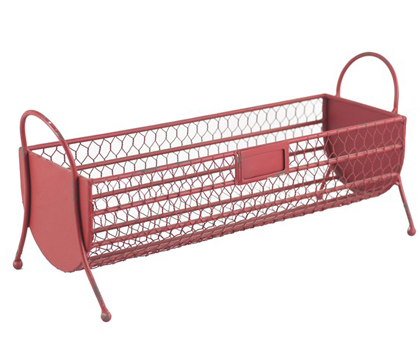 This charming trough-style Red Metal Basket crafted from rustic chicken wire provides a great catch-all for stray magazines, dog toys and more. $40-$50. Free shipping. Buy here.